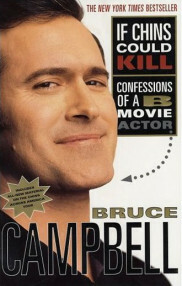 Bruce Campbell has worked as an actor, producer, writer, and director for over 30 year in feature films and television. The character that put Bruce on the map was the role of Ash Williams, a wise-cracking everyman hero, in the 1981 horror film classic, Evil Dead. 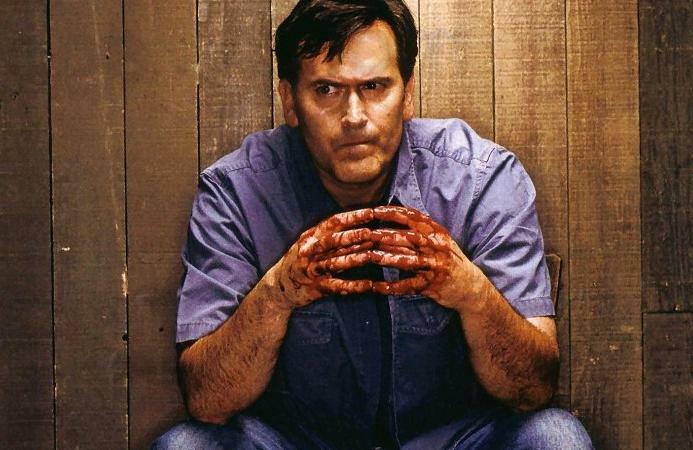 Bruce has been called a B-movie icon, cult film star, and The Chin, but after reading his book I will forever think of Bruce Campbell as the Working Man’s Actor. I grew up in the 1980’s obsessing over horror movies. I watched my Evil Dead VHS copy until the tape wore out. I never thought about what it took to get this film made, or what kind of life the actors lived off screen. 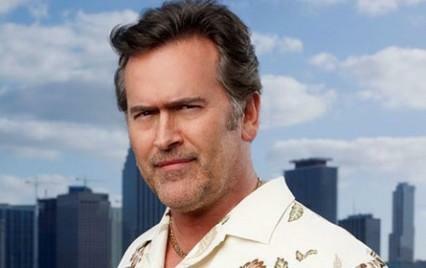 I naively assumed Bruce Campbell made millions of dollars and spent his free time on the beach with supermodels. The truth was eye opening, even somewhat depressing. Reading how Bruce was never paid for Evil Dead made me want to find him, hand him a fist full of money, and tell him I’m sorry. Bruce begins the book with amusing tales of growing up in Michigan during the 70’s, including surviving the hijinks of his best friend Sam Raimi. Not long after graduation the small group of childhood friends decided to roll the dice make a low-budget horror film. The result is one of the most loved horror franchises ever created, but it certainly wasn’t an easy road. Bruce writes about his experiences using his charismatic tongue-and-cheek storytelling crushing any romanticized notions about filmmaking and Hollywood. The book provides incredible behind the scenes details of the constant struggles, injuries and misadventures that come with low-budget filmmaking. What I found inspiring was Bruce’s attitude. No matter what the business threw at this man he always shook it off and kept moving forward. He did the impossible. He succeeded with little experience, no money, and with the odds constantly stacked against him. His willingness and persistence to keep working regardless of the situation led to opportunities. I don’t want to give away too much of Bruce’s story, but he’s had a hell of a career. 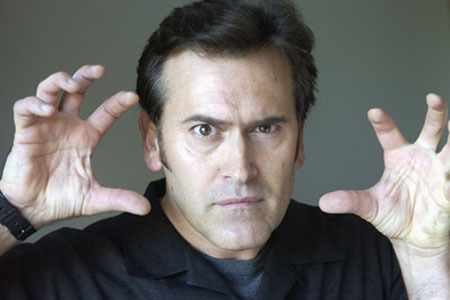 He’s starred in some amazing horror films: Evil Dead 1 and 2, Army of Darkness, Darkman, and Bubba Ho-Tep. 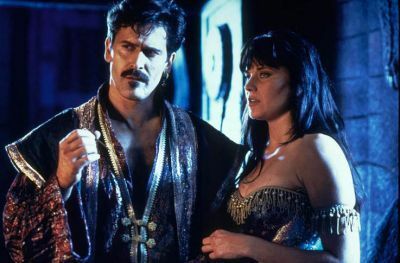 He branched out into television roles on Hercules: The Legendary Journeys, Xena: Warrior Princess, The Adventures of Brisco County Jr. and Burn Notice. He’s done voices for animated films and video games. His fans love him, and he legitimately seems to love his fans in return. Bruce Campbell is a nice guy, with a good sense of humor, and a professional work ethic. His humble approach to his craft is refreshing. He recognizes the contributions of the B-list actors and film crews. He acknowledges that for every giant movie star there are a hundred struggling actors, and for every actor there are a hundreds of hard working crew members trying to earn an honest living. You don’t have to be a Bruce Campbell fan, or even a fan of horror movies to enjoy this book. I recommend it to anyone hoping to break into show business. Genres: Book: Biographies, Entertainment, Show Business. Comments: Anyone interested in acting, show business, or in Evil Dead film history should read this book. Been a fan of Bruce since Brisco County Jr. I bought this book years ago during a going-out-of-business sale. Easily the best $5 I ever spent and a book I will always keep on my shelf. Very well written and not your typical, “I had it rough growing up so pity me/I’m the most awesome person in the world”, autobiography. I would definitely buy a sequel if he writes one.